Welcome to Chabad Lubabitch of Japan, Tokyo! Did you know that Jewish life in Japan goes back more than a hundred years? 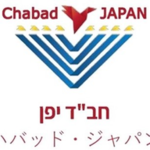 Today Chabad Lubabitch of Japan, Tokyo opened by Rabbi Mendi Sudakevitch, emissary of the Chabad-Lubavitch movement in Japan, and his wife Chana welcomes all Jews living in and traveling to Japan. Our goals are to strengthen local Jewish life, facilitate observance of Jewish traditions, and foster a sense of community. 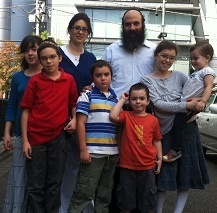 Since its opening in 2000, the Chabad Lubabitch of Japan, Tokyo has brought together a wide variety of people. At our Shabbat table, you are likely to meet Jews living the expat life in Japan, young Israelis traveling around the world, and businessmen and women from Europe, the United States, South America, and more. Whether you are looking for a warm Shabbat and Holiday experience, curious about the availability of kosher food in Japan, wondering about schooling opportunities for Jewish children in Tokyo, or just eager to meet other Jews, this is your address.